3 left in stock. Order now for immediate despatch. 'He giveth His beloved sleep' - Psalm cxxvii.2. Elizabeth Barrett Browning's inspiring poem set for soprano and piano. 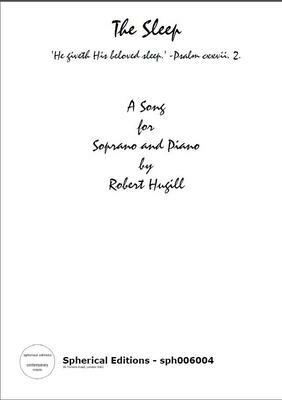 Robert Hugill's tonal and attractively melodic setting was premiered in 2006 at the Kings School, Worcester. What do you want to know about The Sleep?